In terms of longevity and support costs, Apple’s Mac lineup is the preferred lineup of goods that companies like GE and Delta been adopted. Walmart was also reported to switching its machines from Windows PCs to Macs, but it looks like no official article has provided details that such an implementation plan was ever outlined. 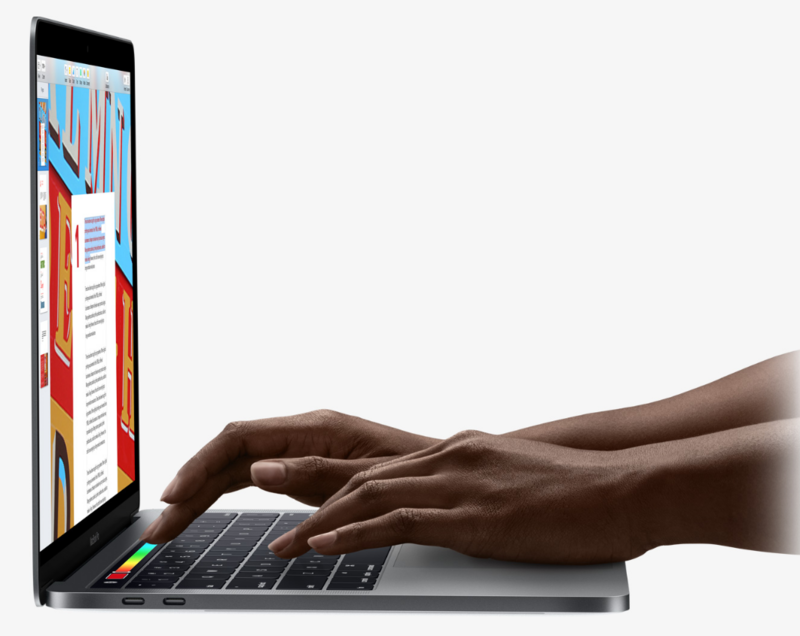 However, IBM has revealed that switching to a Mac has given the company several benefits, such as reduced support costs and more. In the infograph given below, IBM is determined to introduce a whole new Mac ecosystem that will end up saving the company thousands in support costs. 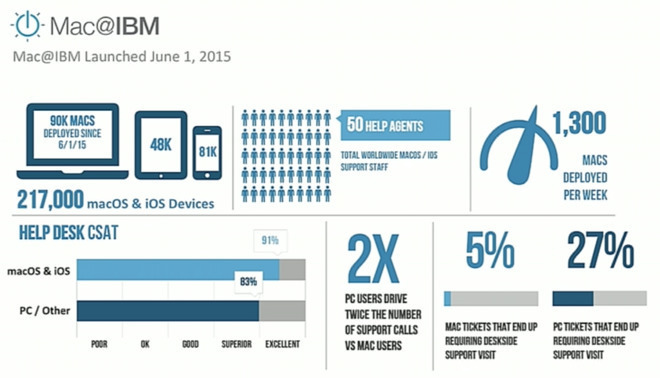 According to the infograph, the deployment of each Mac will result in $270 savings for support costs. Though purchasing a Mac product will end up being a costly venture for the user in comparison of a Windows PC, the long life and continuous software support end up being a huge reliability score boost for the company. The Windows PC platform will allow users to upgrade specific components from time to time, but at the risk of increased costs. Though IBM reports that Walmart could end up with as many as 100,000 Macs by next year, according to Joe Park, the senior director of Associate Digital Experience at Walmart states the following regarding the shift, no such plan has been set in motion. Walmart currently has 7,000 Mac computers that are distributed globally and it looks like that figure is not going to change by much over the course of several years, unless of course the retailing giant changes up its mind about this deployment. Do you think Walmart should follow the same approach as IBM and aim to reduce costs by switching to a Mac? Tell us your thoughts down in the comments.